The issue of Syria's "Federalization" continues to stir public opinion. Will the 'Plan B' work? What is the political balance of power in Syria? Why are the stakes so high in the race for Raqqa? Political scientist Oussama El-Mohtar shed light on the issues in his interview with Sputnik. The problem of Syria's potential "federalization" is stirring public opinion inside the country and beyond its borders. There are rumors circulating in the media that some forces inside Syria may support the 'Plan B' championed by the United States. But is there really a plan for the federalization of Syria in which a Kurdish state is going to be created? "This is a very important question and it must be treated carefully and in depth," Canada-based scholar and author with a deep knowledge of the Syrian political landscape Oussama El-Mohtar told Sputnik. "Is the primary objective of the war on Syria to establish a new federal system? My answer is no. I think the primary objective is the destruction of Syria, the disintegration of its army and the tearing up of its social fabric. Should this succeed, then the outcome might reflect this success and a federal system or worse might ensue," the scholar underscored. El-Mohtar called attention to the fact that while the destruction of the infrastructure has taken a huge toll on Syria, the arsonists of the war failed to break up the Syrian Arab Army and to tear apart the social fabric of Syria. "While some damage has been done to the social fabric of Syria, the Syrian army remains intact. Yes, a few high ranking officers — and for that matter some high ranking government officials — have succumbed to bribery or blackmail and deserted. But the majority did not. The Syrian army which truly reflects the Syrian society's mix, is still intact and is still fighting after five years of relentless attacks on all fronts east and west, north and south," the scholar narrated. So, could a federal system be imposed on Syria with a Kurdish autonomous enclave? "Let us look at history. When the French occupied parts of Natural Syria after WWI, they tried this. They divided their 'Mandated area' into five autonomous states as shown in the map below." "Those divisions, apart from Lebanon, did not last. This was not done out of a romantic notion of unity. No, life, and the necessities of life dictated that," El-Mohtar pointed out, adding that Lebanon was an exception for many reasons that need a separate article. "But even Lebanon, as the current situation in that artificial state tells, cannot survive on its own," he stressed. 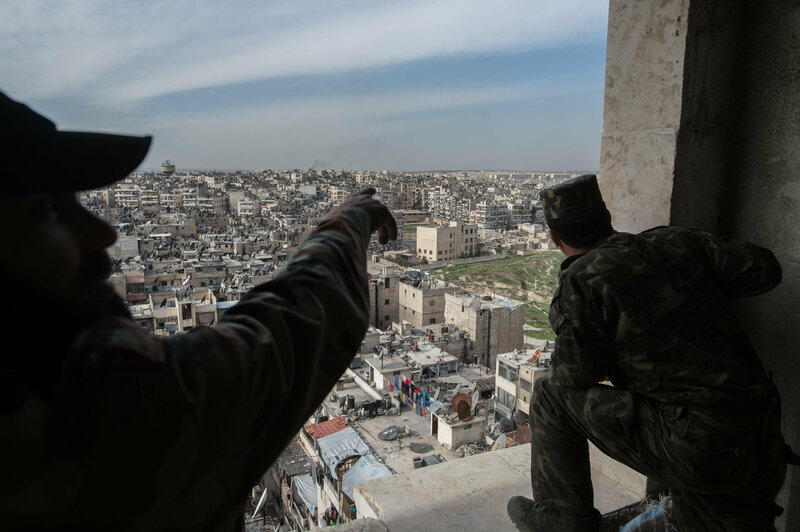 "Those divisions, back in the 1920, could not have been imposed without the destruction of the nascent and feeble Syrian army after the battle of Mayslaoun. And I doubt very much if they could be imposed today, without the destruction of the Syrian army who is fighting for the unity and integrity of the Syrian soil," the scholar continued. El-Mohtar underscored that the Kurdish issue is one of the most complicated. 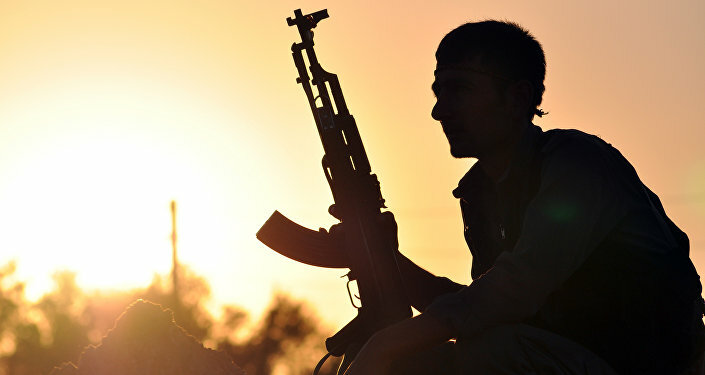 "The Kurdish question is bigger, more intricate and its implications much wider than a Maronite, or a Druze state due the vast number of Kurds distributed among four national states namely Syria, Iraq Turkey and Iran. But the same principle applies. You can only form a new Kurdish state or states after you destroy the national state(s) and their armies. Note that the Kurdish autonomous zone in Iraq could only be established after the Iraqi army was totally dismantled. In Syria, this is proving to be a much more difficult task to achieve," the scholar noted. He emphasized that although some of the regional states might accept an autonomous zone in Iraq (some happily and others begrudgingly), the minute the zone starts to expand west, east or north, Turkey and Iran — let alone Syria and Iraq — will be impacted. And it seems Turkey is very much concerned about such a prospect. Besides the ruling Arab Socialist Baath party, there is yet another political force in Syria that is promoting the importance of Syrian integrity. It is the Syrian Social Nationalist Party (SSNP), the second largest political group in Syria after the Baath. "As for the SSNP, it categorically rejects any attempt at further dividing the Syrian homeland, be it along religious, sectarian or ethnic lines. The SSNP has been working relentlessly to remove the Sykes-Picot divisions, and it does not accept any form of an ethnic or religious state. The SSNP calls for unity and social justice within a state whereby all citizens are equal and whereby religion is separated from the state," El-Mohtar told Sputnik. While the Syrian Baath party has recently come into sharp focus of the international community, the SSNP is somehow less known. What is the position of the SSNP regarding the Syrian Baath Party? How strong is the alliance between the SSNP and the Syrian Government? "There are ideological differences between the Baath party and the SSNP. The Baath party calls for one Arab nation from the Atlantic to the Gulf, the SSNP calls for an Arab front among four distinct nations Natural Syria or the Syrian Fertile Crescent, Arabia, The Nile Valley (Egypt and Sudan) and the Great Maghreb (Morocco, Algeria, Tunis and Libya)," the scholar elaborated. "The two parties were in fierce competition in the fifties for the minds of the Syrian people. The Baath party prevailed politically and the SSNP was outlawed. Reconciliation began in the seventies and old animosity gave way to cooperation and alliance," he continued. "Right now, the two parties are the two main political forces working hand in hand to preserve the Syrian unity and the Syrian state. The alliance is very strong and getting stronger," El-Mohtar emphasized. While the West is pledging its commitment to support the Syrian "opposition," calling it "moderate" or "democratic," the question arises what parties and movements in Syria constitute the real "healthy" opposition today? "I think this question could have been valid five years ago. Right now, with Syria the State under a relentless and systemic scheme of total destruction, the question is moot. It is as if one is asking me during the Stalingrad siege in WWII, who is the healthy opposition in Russia at the time?" the scholar asked. "In other words, the Syrian opposition is opposed to what and to whom? Are you opposed to those fighting a) the occupation of vast areas of your country, b) the beheading of your fellow citizens, c) the theft of your natural resources and industrial infrastructure, b) the destruction of your vast cultural heritage sites, and c) the destruction of social cohesion in Syria, and so on?" El-Mohtar underscored. But what about the High Negotiations Committee (HNC) and its most prominent members Ahrar ash-Sham and Jaish al-Islam? Whose interests do they represent? Back in July 2015 Ahrar al-Sham even published an article in the Washington Post declaring that they are "moderates" and vowing to form a new "stable and representative government in Damascus." Can we consider Ahrar ash-Sham and Jaish al-Islam a part of Syrian "democratic opposition"? "It [the HNC] represents the interests of those funding and hosting it; mostly the Kingdom of Saudi Arabia and to a lesser extent Turkey and Qatar," El-Mohtar noted. "As for the second part of the question, I am not sure that these two groups ever presented themselves as 'democratic opposition.' But even if they did, it would be a misrepresentation. Why? The full name of 'Ahrar Asham' is 'Harakat Ahrar Ash-Sham Al-Islamiah,' or (The Islamic Movement of Free Shami's.) Jaish Al-Islam is (the Army of Islam.) Both are part of the 'Al-Jabha Al-Islamiyah As-Souriah,' or (The Islamic Syrian Front.) So, it is Islamic first and Syrian second," the scholar told Sputnik. "In my view, any religious movement cannot be democratic. Religion and democracy do not mix; they are mutually exclusive. Every religious movement gives an elevated status to its adherents. If one group has special privileges based on their religion, then others have a diminished status based on theirs. Religion is exclusive, democracy is inclusive. Hence, to say that a State or a political movement is both religious and democratic is an oxymoron," he explained. Today, the international community's attention is focused on the ongoing race for Raqqa, kicked off by the Syrian Arab Army (SAA) and the US-based Syrian Democratic Forces (SDF). Why are the stakes so high? How can recapturing Raqqa by the SAA ahead of the US-backed Kurdish-Arab coalition change the course of the Syrian war? "Capturing Al-Raqqa by the Syrian army will be a major blow to the talk of a Kurdish driven federation. It is interesting to note that SSNP fighters are fighting alongside the Syrian army [the SAA] in their drive towards that city," El-Mohtar underscored. Oussama El-Mohtar is a management consultant who lives in Ottawa, Canada. He is also a writer and a translator who has written and lectured extensively on the Syrian Fertile Crescent issues in both English and Arabic. Among his titles: Al-Mustaheel Al-Mumkin, (The Possible Impossible), Khawfan min Walakin, (Apprehensive of "But"), Munhaz bila Houdoud, (Totally Biased), Idarat al Istratijiyyah fil Munazamah Al-3aQai'diyyah, (Strategy Management in Ideological Organizations).